This is a photo of the delicious dinner that Ban made for us tonight. 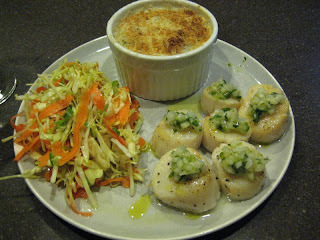 We had soft shell crab gratin (in the ramekin), sea scallops with pear relish and lemon oil (!) and asian slaw. It was amazing!